Gender diversity and pay equity in the workplace should not be something we still have to discuss. Yet, New Zealand woman are still getting paid 9.4% less than men and under 30% of top-listed board directors are women*. M2woman decided it was time to take charge and influence meaningful change by starting the conversation with like-minded individuals and companies. The Pullman Auckland was filled with optimism and determination on February 16th as those interested in creating change toward gender diversity and pay equity gathered for the inaugural M2woman Journey to Excellence forum, with thanks to sponsors Adecco, Partners Life and Kantar TNS. We began Journey to Excellence because we want to influence meaningful change. Many of us know there is an issue, but the biggest uncertainty is exactly how we can make change. But what we do know, and have seen in action with the recent global activism efforts, is that whether you are on the board, the CEO or staff on the ground – male or female – change will only happen when we all work together. Because, let’s face it, if we have to wait 217 years for gender parity like the World Economic Forum’s 2017 Global Gender Gap Report suggests, none of us are going to see it in our lifetime, nor will our children or even their children, which is simply not good enough. According to the Westpac Diversity Dividend Report produced by Deloitte, one in four New Zealand businesses do not expect to reach gender parity in leadership within five years. This is disappointing for the women who are missing out on management opportunities. But also for New Zealand’s economy, which is missing out on $881 million dollars, and a 0.33 percent increase in our GDP because of the lack of gender parity in leadership. This same Diversity Dividend Report found that one third of companies cited organisational and workplace culture as the reason for not reaching gender parity in leadership, while 49 percent cited lack of talent as the top barrier. Unsurprisingly, 60 percent of businesses do not have a gender policy in place. When it comes to pay equity in New Zealand, we do not fare much better. New Zealand is ranked ninth out of 144 countries in the World Economic Forum’s Global Gender Gap Report for 2017, while Iceland, Norway, Finland and Sweden are the highest performing countries. The Labour government is vowing to close the gender pay gap in the public sector within four years, with Minister for Women Julie Anne Genter and Jacinda Ardern both having said this is possible. Iceland, the first country to make it illegal to pay men more than women, have mandated equal pay in both the public and private sectors, and unsurprisingly, are first globally in terms of gender parity. New Zealand is making waves, slowly but surely; take for example, Kristine Bartlett’s case, which resulted in a rise in pay for workers in the rest home industry. This came about to ensure those in a ‘female dominated industry’ were paid on par with those in a ‘male dominated’ industry. Gloria Steinem once said: “The story of women’s struggle for equality belongs to no single feminist nor to any one organisation, but to the collective efforts of all who care about human rights.” She was right. Change can and will not happen with a company having one women on the board and saying they are gender diverse or one woman changing the mindset of one man – it can help more than doing nothing, but it won’t create significant change. To reach full gender diversity and pay equity we need to work together to take collective action, so we can create meaningful change. The statistics and reports can only get us so far. In order to make a real difference, we need to know how to create change. 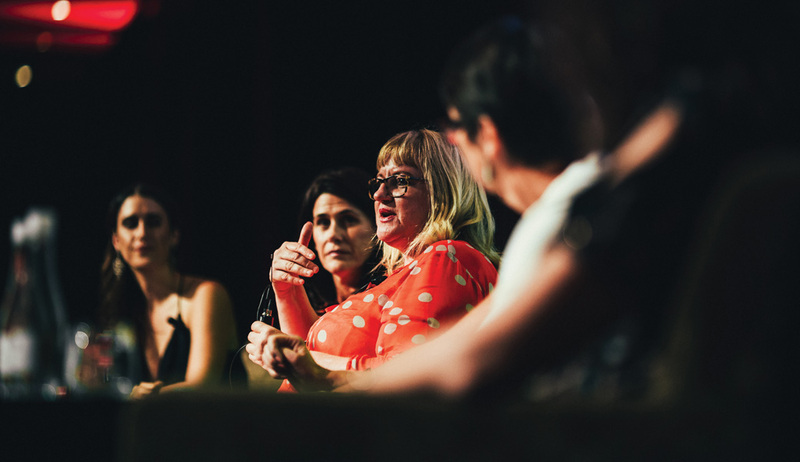 Our panelists from the event are no strangers to encountering challenges toward gender diversity and pay equality in the workplace on their rise to the top of various New Zealand companies. Nevertheless, they persevered and are a few of the leading women in some of New Zealand’s top businesses. These women’s journeys to excellence were all different, but the one thing they all had in common was perseverance to overcome the inequality they faced because of their gender. Ballantyne has been described as the icon of New Zealand life insurance, having founded not one, but two life insurance companies. She is currently the managing director of Partners Life, which she founded back in 2010. Since then, Ballantyne has been awarded the New Zealand Order of Merit (ONZM) for services to the insurance industry. Partner’s Life passionately believes in family values, something that comes from Ballantyne. As a businesswoman and mother, Ballantyne is motivated to encourage other women to take up leadership positions and not be affected by the comments others make about how you may choose to juggle your family life. 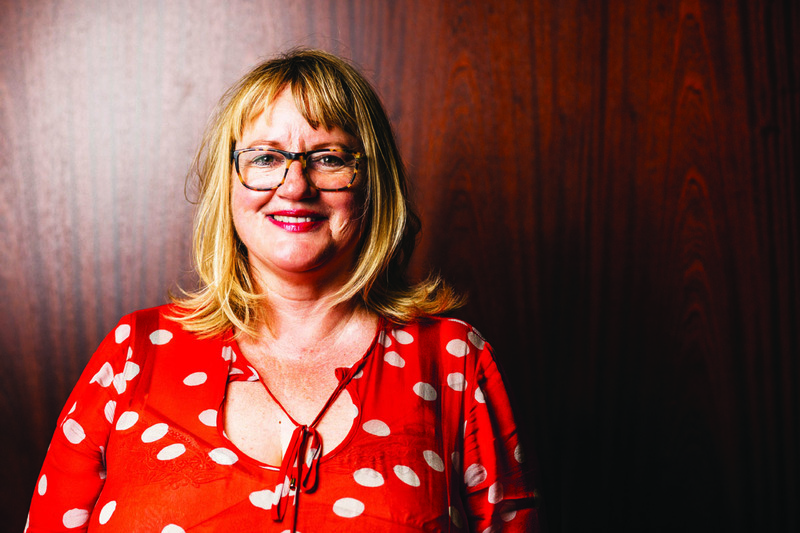 Smyth has experience as director and chair of some of New Zealand’s highest-profile companies and she is currently the chair of Spark New Zealand and Breast Cancer Foundation and a director of Auckland Airport. Smyth’s previous directorships and experience include being a board member of the Financial Markets Authority and deputy chair of New Zealand Post Limited and a tax partner at Deloitte, something that was a rarity at the time. Meade is lead partner in New Zealand for Deloitte Access Economics, and joined the company 13 years ago. 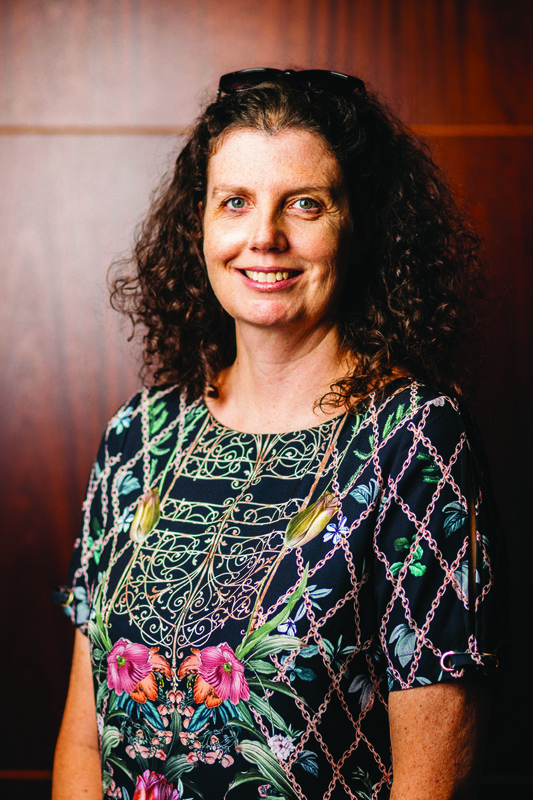 She is the lead partner in New Zealand for Deloitte Access Economics and recently undertook the Westpac Diversity Dividend study that concluded New Zealand is losing out on $881 million by not having more women in senior roles. Meade is passionate about helping government agencies make better value decisions, and her role at Deloitte allows her to offer economic analysis and advice. She is also is a trustee with Wellington Zoo. Cross has been with DLA Piper for 16 years, which is considered to be one of the most female-friendly law firms. 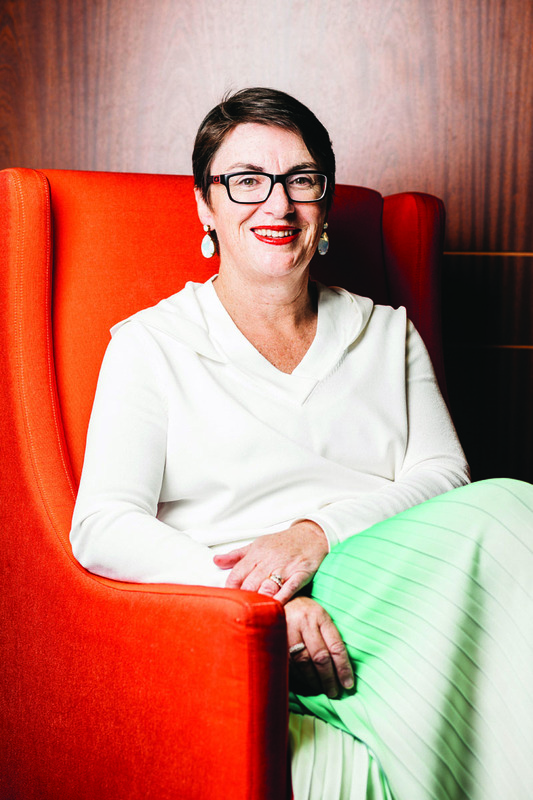 Cross has relentlessly worked to create a firm that is gender diverse and she is the chair of DLA’s Leadership Alliance for Women, which is about developing our female leaders and assisting them: “It is about sharing the story and really making things happen for women. That is one of our big initiatives,” she says. Cross is also ranked as a leading individual for investment funds in Chambers Global and Legal 500 Asia Pacific for 2018. When it came our panelists’ time to share their journeys to leadership, the audience was well and truly ready to listen to these women, who are in top leadership positions, to discover how they could make a difference. 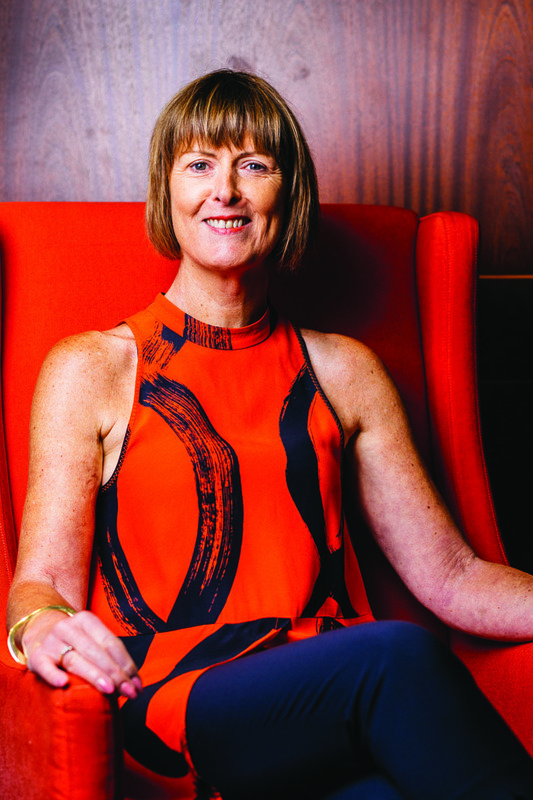 Higgins: There is still only one, singular, female CEO of top 50 listed companies. Why do you think that is? Gattung: Because we still, as a society, and that is all of us – men and women – accept that it is OK to be like that. If we didn’t accept it, we would have collectively put in place a whole range of measures to shift it. I can still remember at the press conference when I became CEO. I was 37 years old and I was asked, did I intend to have kids? Does that sound familiar? At the time, a quite young man – same age as me, had become treasurer – yes, Bill English. No one was asking him whether he was on child number three, four, five or whatever? So some things haven’t shifted enough. Now, there are positive trends, there is a momentum and I think one great thing this week has been the speculation about the next National Party leader. It has been a very respectful conversion, a very equal conversation. I have not seen any sexist undermining of the women putting themselves forward. So we have shifted the game because there have been now three women Prime Ministers, so of course it can happen. We have to normalise women in leadership. We have to have boards that are properly gender diverse, not just one or two token women because men stop at that point if they get too threatened. Women chairs like Justine, more women CEOs, women running the profit divisions of the companies and not just running HR and marketing. They have to run the economic drivers in the country and when you do that and people see that, girls believe that that career is possible for them. We have to have that shift in enough numbers that it becomes the new normal. Similarly, why don’t we have more women on boards? Smyth: We are making progress. [But] the reason we don’t is because we still have this kind of male-dominated room where males have not yet been enlightened enough to realise all of the information we know, which is that if you have a greater proportion or a significant cohort of women on leadership, in companies or on boards, that performance of those companies will be better. That is well-traversed research, but it is only the enlightened males that actually believe that. I have a mantra that I will not be the only female on a board and it is because one token female doesn’t make a difference. We are good, but we’re not that good, and the research says it is the collective that makes a difference in terms of how you think and how that decision-making flows through. I am very proud to say that on Spark, we now have a majority of non-executive directors and on Auckland Airport, so both of these companies are two of the top five listed companies. On Auckland Airport’s board, we have three out of eight [women on the board] and for a moment in time, I think we had four out of eight. So some companies are absolutely understanding the value to their companies, but so many are still yet to be enlightened. The excuse is often that there aren’t the women out there. In the field of law, female graduates have outnumbered men for about 20 odd years, and yet they are still in the minority in the leadership roles. What is the barrier that stops more women becoming partners? Cross: You are right, the law doesn’t have a great track record, but I think things are changing and certainly at DLA Piper, we have got 40% female partners now, which is great. But there are barriers. It is the same message – male-dominated industry; the hours that we work in respect of doing the work and the client development is not conducive to raising a family. We need to manage that. But it can be done. We are all sort of making progress in that space. I think one of the barriers that I had, if I’m honest, was myself. I wasn’t confident enough. I didn’t have that voice earlier on in my career and that is something that I really want to empower women, and my own daughter, to have at a much younger age. I wasn’t out there pushing my agenda and my ambition. I think, therefore, my sort of moving through the ranks was a bit slower. Probably I had a bit of a mantra, and I still have to battle with it today in respect of wanting to be proactively recognised and rewarded, because I think that is how people should be treated. I mean, how naïve is that? In my ideal world, that is what happens. But that is a real barrier that does hold you back, but part of it is being aware of it. Naomi, I read an article about you that said you actually find being a woman in a male-dominated industry an advantage. What are the advantages and do they outweigh the disadvantages? Ballantyne: Yes. Or we wouldn’t be as successful as we are. I am not making that up or it is not my opinion, it is fact – right? But actually, I had to start my own company to take the steps in my career that had got me to where I got to, to be brave enough to do that because I couldn’t get there in the industry at the time any other way. So for me, the barriers that I look at, it is not so much that people stop me from taking career steps once I became my own boss, but it is the way people perceive you as a woman should you fund this company because it is a woman starting it – how they compete against you, which is to attack you as a woman, rather than on the basis of the business that you run, for example. So the comments about family are true. One of the barriers is people don’t, or women don’t, see how they can be a mum and work, or they are worried that they won’t deliver wonderful adults if they’re not there more. There is not enough of us that have done that and have got through it, not because anyone showed us how, but because when you start your own business, you have to just keep going – right? But you learn some things along the way. One of the things is people who have done it, telling people who want to do it – how to juggle your children. Give them confidence that even if you’re not home all of the time, your kid will still love you. They will still end up being successful. Sorry, I get a tear every time I talk about my son because it is my most, I guess, spectacular achievement – that I have a son that is successful and loves his mum, and I wasn’t there all of the time. But I also think that we, women, who have been here, we need to sell why that is a good thing and what we got out of it that made the sacrifices worth it. You can say these are the fantastic things that have happened in my life because I did this thing. So you are trading off – yes, you are trading off, but was it worth it for me? Absolutely. We need to tell people it is worth it and demonstrate to them that life is good when you take on this sort of challenge. We are going to talk a lot more about motherhood, the decisions around that, when you don’t do it, where there are penalties there too. How hard did you have to fight to get there? Ballantyne: One of the things that I think might put women off is how hard it is, is if you do have children, generally it is the woman who stays home when the kids are sick, and so all of your sick leave, your annual leave is not playing golf for you, it is staying home and working in some other capacity – nurturing or looking after the home. So you never get a break. It is 100% always someone else’s time, and that is the real difficulty I guess in terms of why would you want to do more of that? You get burnt out or tired or unable to focus, and I think that is something we definitely need to address, that staying home with sick children is not you taking a day off and how do we structure work to make that work for parents – either parent, but predominantly it is women. So there is some research about the motherhood penalty, that if you do have them that you may be overlooked for promotion or considered that maybe you are not as dedicated to the job. How do you overcome that perception that because you have got kids, that you are somehow putting your work second? Gattung: Well, I perhaps shouldn’t speak first because I don’t have children, but picking up Naomi’s point, you certainly have got to select a company that is going to meet you more than half way, so there is some personal choice in this – personal responsibility. There are some industries that are better than others for working women – working mothers; there are some companies that are better than others, there are some leaders that are better than others. The thing about New Zealanders is, you are only one degree of separation from someone who knows the CEO of the company you are thinking of working for. So you can organise your life to best support yourself through the most stressful times by selecting where you work. Basically, don’t stay in a situation which is impossible, because it will undermine your own self-confidence and your own self-esteem. Make some sensible choices about where you do choose to work. I think there are some choices that we make about where we work, and there are also some things that we can collectively put our advocacy behind, because women are not the minority – we are not the minority. We can collectively – to Justine’s point before – make a huge difference. Smyth: Actually attracting and retaining the best talent is the way that we are going to breach this pay gender gap. Both the organisations I’m involved with have done a lot of in-depth analysis and it is explained by the fact that there are proportionately more women in the lower levels of the organisations and proportionately more men in the upper levels of the organisations, so of course, the average gender pay gap – there is going to be a big gap. The main way to fix that is actually to get more senior women in intermediate to senior roles – more women to intermediate to senior roles in the organisation. That is the way to fix the pay gap and also the way to fix the performances of companies by the way. Gattung: When Kate Sheppard did votes for women and the National Council of Women was set up they had four goals 125 years ago. Their four priorities were to get women into parliament – not just to be able to vote, but to be an MP. The second was for married women to be able to own property in their own name, which at that time they couldn’t. The third was for women to be able to have custody of their children upon divorce, which at that time was not a given at all. The fourth was equal pay for work of equal value. And here we are 125 years later, this would make the most significant difference to all of us and a legacy for our daughters, and I believe if New Zealand did it we could then get it in the UK and Australia and we would lead the world again, just like we did with suffrage. We need to get women into senior roles though. I want to talk about unconscious bias, because this is brought up so often as the reason why there isn’t equality. Meade: I don’t think it actually scored quite as highly in the survey that we expected as some other factors holding back women, but I certainly think it is out there and because it is unconscious, perhaps, it is actually hard to identify sometimes. We all have it, we all have unconscious bias. I know I have it myself – I’m a very vocal advocate for change; I still have unconscious bias from time to time. But I go back to the point that Justine was making – I think it is about all of us as leaders who are willing to stand up and take action in this space, whether you are women or men I don’t really care – spotting unconscious bias where they can, making differences, taking action and some of the things can be quite small. Actually just one at a time, picking them off, identifying them where you see them, making some changes to remove them from the situation. But in the survey actually, the most surprising answer to the question of what is holding more women back from getting into leadership roles was lack of talent. 49% of respondents said there was a lack of female talent, and yet as Theresa said, we are actually the majority of the population – 60% of graduates from law and commerce are women, so it is not lack of talent coming into the workforce, it is somehow that women are being lost from the workforce along the way. Of course, we know some of the reasons for that, but I was astonished by that answer. Smyth: We need to talk about the unconscious bias, it is the most insidious thing that actually we all have to deal with. The reason that it doesn’t come up in the survey is because it is completely unconscious. Cross: The important thing is that there is training on unconscious bias in organisations because people don’t know what they don’t know. I had organised some training for our parameters, this was probably about five years ago and it was a real awakening moment. I mean I had biases, we all do. But did I think I had biases? Probably not, because I was out there talking about all these great things. But to actually go through some training and understand it is really important. I know we do laugh off trivial comments, but I don’t know that we should. I think we need to hold people accountable for their bad behaviour – respectfully, we can all do that. The more we laugh off the worse it gets. Are women also guilty of the unconscious bias? I always think of this story – a colleague of mine was having a baby and she had picked an obstetrician and she said, ‘I wanted to go with a man because I trust him more.’ I said to her, ‘You realise that the female obstetrician not only has done the same qualification, she has the body parts.’ Are women guilty of not having enough faith in other women as well? Ballantyne: The need to feel sort of justified in the decision you have made. So there a lot of women who stay at home and look after their children who make terrible comments online about women who don’t. You kind of go – but how do you know that that is a worse choice; you didn’t take it, right? It is just a different choice and what we need to be as women is accepting that everybody has got their own choice and to encourage them all, whatever that choice is, and not feel threatened because it is not the choice that you made. Men do it too. People do it. Is there an argument to be made that we can hold ourselves back? It is often said that a woman won’t go for a job until she ticks ten out of ten boxes, whereas the bloke might do it if he ticks 6 and kind of wings the rest. Do we do that? Smyth: There is a lot of research that said women rely on authenticity – my work will do the talking, whereas males rely on imitation strategies of their male bosses. That is a real thing. Gattung: I find that women are often interested in improvement and men in advancement. I am often approached by women who are looking for a mentor. I have never been approached by a man and asked would I mentor them? Men aren’t looking for mentoring to improve themselves, they want sponsors who can give them the big jobs, the advancement in the companies they’re in or an adjacent one etc. There is this whole different approach. It is OK to ask for a mentor. It wasn’t really a thing when I went through the ranks. It is a thing now. It seems to be OK to have a coach or a mentor. I’m not knocking that, but if what you really want is to go to the top, then it is OK to be more ambitious and to be more driven about that. You can do that in a way that doesn’t mean you aren’t still yourself and bring your full value as a woman to the table. Smyth: But you will probably be labelled as aggressive, and you will probably be labelled as all these others things. Women get that all the time, that they’re bossy, they’re aggressive. I mean when you are just doing actually what the bloke in the next cubicle is doing too, but you are just doing it whilst in the possession of a uterus. How do you counter that? Ballantyne: You sell yourself, right? Now these are the things that I bring to the table – I bring to the table that I am better at this job than everyone else, that I’ve delivered this many billable hours if that happens to be the way you perform. I am driven, you will call it bossy, but it is going to work for you as a company. You say that you sell yourself, you don’t wait for someone else to put a label on you. You recognise that you are going to label you, so you use it. I use people criticising me. I say well they’re talking about me, I’m talking about me – everyone is talking about me! It is a great world, right? Women still have to make connections though. I hated the thought of networking; people say that I was like, oh it will give me the shivers. The reality is that women still do need to make connections. We have a lot of unforeseen sponsors ourselves. I have certainly been an advocate for putting women into particular positions, but I also know on reflection in my own journey, I have certainly had male sponsors as well. I mean, on the Spark board, Mark Verbiest left earlier than he needed to because he was the chair and he could have continued being the chair for a number of more years. He chose to leave to give me the opportunity to chair that board. I didn’t ask Mark to do that, but I’ve worked with him. So you can let other people do the talking for you as well. Yes, you have to stand up, but there are other people who will do the talking for you as well. Gattung: You can also change the culture. Girl Boss, the book #GIRLBOSS, the organisation GirlBoss – it has made it cool, it has made it good, it has turned what was could have been a negative into a good thing. Gay rights, gay – they took a word and made it something that could have otherwise been negative. It is like we can change the conversation. We need to do all the things individually that we have talked about today, but the media has a role in this or a woman journalist in the room – we could do it personally, we need to advocate for it and we need to change the language around it. There is also a lot of places that you can join to rub shoulders with other women, a little like we talked earlier, who have maybe done what you are hoping to do, have worked out how to make that work. Can you tell us some of the organisations you are part of? Gattung: Just talking about Co.OfWomen, which is for women entrepreneurs or women who want to be an entrepreneur, and Naomi is involved with that as well. It is a wonderful organisation. It basically supports women through that process of learning. It is very much the experienced entrepreneurs in that organisation supporting everybody else. But as part of that, I got interested in the difficulty of women accessing capital. I went looking for the stats. In America, 4% of VC funding goes to women. I went looking for the stats in New Zealand – they don’t exist. I went to the University, I went everywhere and they don’t exist. I decided to bring SheEO to New Zealand. I heard Vicky Saunders, the founder of that, speak about it in America. Which is about groups of 500 women putting in $1,100 and creating a pot of half-a-million and supporting five women-led businesses who are at early stage companies, going to be profitable but also doing good in the world. I have been doing that now for a couple of months and it is a fantastic initiative. You became an activator, you go the website, you sign up with a credit card. You are activating not just your $1,000 capital, but your networks – your advocacy in all of that. Smyth: Global Women is an organisation that is very much at the forefront of diversity, women leaders, and they have the Champions for Change programme, which is what they have had a lot of corporations sign up to in terms of disclosing diversity numbers and all those sorts of things, and also commitments that they are asking of organisations that sign up to those champion. They have basically got the leaders of the biggest organisations signing up to those programmes for their organisations. Ballantyne: One of the comments I’d make about that is I struggle with being asked to speak at women’s forums and Co.OfWomen, and even a columnist for M2woman magazine. [I think] but I’m successful – why is it limited to only women who should listen to me? But I reconciled it with – hey, I’ve got all this fantastic stuff that hopefully something will work for you, and if women want to hear it – bugger the men! But that is the way you need to look at it – right? Because these organisations are asking me to share and I want to share. You get so much pleasure from doing that. The fact that it is women’s organisations asking me to, then great – women get the benefit of that and it is a shame if young men don’t hear those messages at the same time, but I can’t help that and I love doing it. Meade: I suppose one organisation I might mention is Infrastructure New Zealand. It arose out of a conversation that I had at one point with a wonderful woman who works there. Really it was a grassroots kind of initiative and it has just mushroomed into thousands of women now. It just goes to show – the reason why we had the conversation about it was because women in the infrastructure space often are almost invisible and it is one of the areas that I try and encourage, in particular, some role models to stand up and talk at things like Buildings Nation symposium or to go on the media and actually be the spokesperson in infrastructure because you very rarely see women in infrastructure. Unfortunately, it has got so big that it is actually quite hard for Infrastructure New Zealand to manage it as well as they’d like to, so I think they’re now looking for sponsors and that sort of thing to try and put some structure around it. I would love to see them go on and succeed. Tracey, we mentioned at the beginning that DLA is one of the most female-friendly law firms. What is it that you’ve done to make it female friendly? Cross: We are very happy to be recognised again in that sort of space, and as I said at the start, 40% of our partners are female at the moment, but I am conscious that that is just a number in a point of time and it can change very quickly in respect of partners moving on or lateral hires or anything like that. What I’m interested in what is behind that number, and the culture and the actions and what is happening. [It’s] very important to review those and make sure everything is still progressing. We have a Leadership Alliance for Women, which is all about developing our female leaders and assisting them in building their business networks. That is a global initiative, so we’ve got great resources, but we also look to take that resource and initiative to our clients as well. All the things that we’ve talked about it what we do. And I think the key is actually doing them. Six years ago, we started seriously thinking about what are we going to do, because we didn’t have a consistent policy. The librarian dragged a policy out from the bottom drawer, which had just been gathering dust. It was like – no, we really need to take action here and it is that commitment, it is that finding champions within my male colleagues – and I’m happy to say I’ve got one of my partners here today, which is really great. For me, it is all about authenticity, making it happen and making it genuinely happen. That is where you get the rewards and recognition. As the conversation was opened up to the floor, the audience sought advice on how we can make change. I was really curious – you put a figure on the diversity dividend and I just wanted to know how you arrived at that figure? What were the sort of things that you asked? Meade: Having greater female participation in the workforce, greater female participation at governance levels and so on, leads to better outcomes for businesses and therefore, better outcomes for the economy. So that was reasonably well-traversed territory. I wonder whether part of the question isn’t a little bit about the process by which we get women into these positions. We have got a pretty extraordinary woman leading the charge as head of our government now. Is the question not more about how as opposed to why? 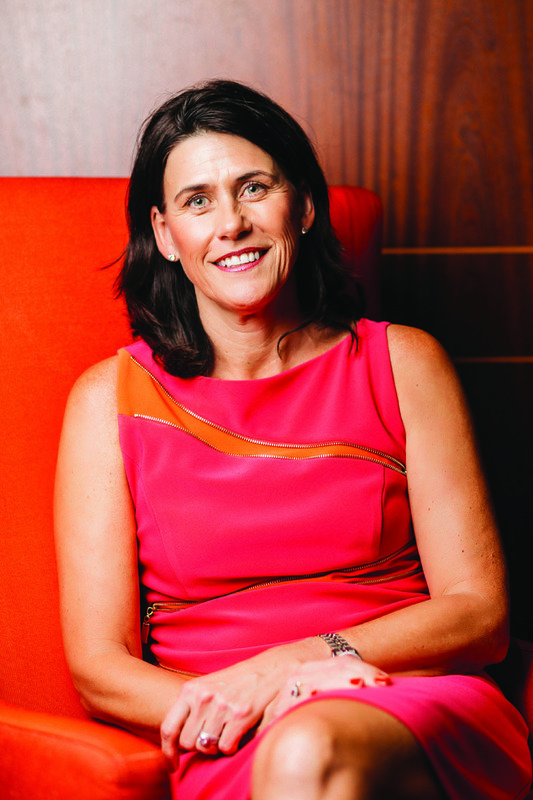 Gattung: Rob Campbell, who last year won at the Deloitte Top 200 Business Awards, Chairperson of the Year, was in the media quite a bit last year saying – look, diversity, if you want to have your boards half female, just do it. There is no lack of a talented women. So the top ten companies in New Zealand could all have in the next director role-out cycle – which of course isn’t between breakfast and morning tea next week, it takes a little while – but they could in the course of a sort of 18-month to two-year timeframe get complete diversity in the top companies in New Zealand if the shareholders, and more particularly those boards themselves, committed to it. So that is not about a how, it is about the intention to do. I just think – you know, he said it – it is not that difficult, it is not rocket science, you don’t have to commission anymore reports on that. Smyth: I think just the worst tragedy is if it ever comes out of someone’s mouth saying, we couldn’t find the talent… That was the argument about boards – it was always there aren’t any women good enough, that was always the argument. Basically, all that unconscious bias, and what is worse is when the consciously bias influence the unconsciously bias and then you end up with the unconscionable, right? My question is just really around being challenged as a women of culture. For me, one of the things that I’m always challenged with is having to find my voice. As a Pacifica culture, it is always the women are either in the kitchen or looking after the kids. At what point in your career were you challenged and you needed to find your voice, and how were you empowered to do that? Ballantyne: My mother is Tongan, so actually my upbringing was very much the women are in the kitchen and the men are out having the drink and playing the guitar around family gatherings and that kind of thing. That was also a challenge for me, that I am saying things and running a business and almost within the family that perception that you are not a woman because you are doing those things – you are not looking after your kids properly etc. You have got to say culturally that is traditional, but it is wrong because otherwise women will always be in the kitchen if you stick to cultural norms, right? So culturally, that bit I don’t buy into. These other things, they’re important to me, they inform me, but culturally that bit – that is not right and so I’m not going to perpetuate that with my family. We need to, as people, make decisions about which part of that culture is really important and is good and is productive, and which part should be left in the dark ages, because that is how women get suppressed all around the world – culturally that is the woman’s place and if you step outside of that, you are bad, right? I am not suggesting for a minute that Pacific Island culture is bad, but that particular piece where women should be in the kitchen and not career oriented, it just isn’t right.